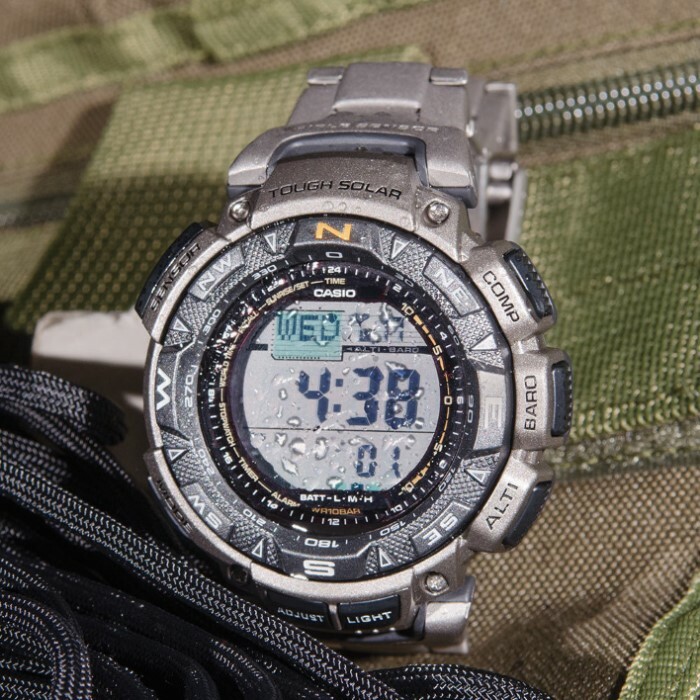 Casio Pathfinder PAG240T-7 Watch W/ Titanium Band | BUDK.com - Knives & Swords At The Lowest Prices! Constantly evolving and improving the "Pathfinder" lineup, Casio introduces the PAG240, a welcome upgrade to the legendary PAG40. The new PAG240 has all the same great triple- sensor functionality you've come to love in its predecessor, but now it's equipped with self-charging, tough solar power. 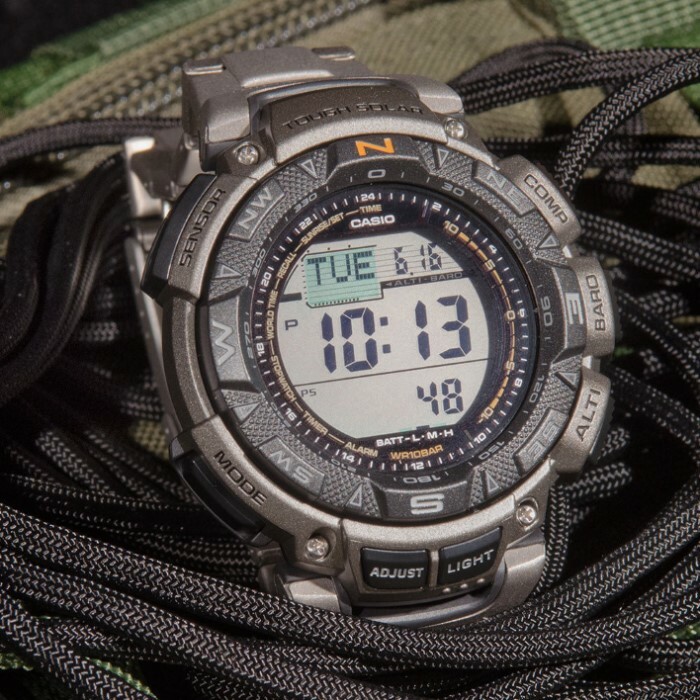 It also employs a more functional exterior case design, among a host of additional features like sunrise/sunset data, countdown timer and 48-city world time. Includes handsome, durable titanium band with neutral digital face. 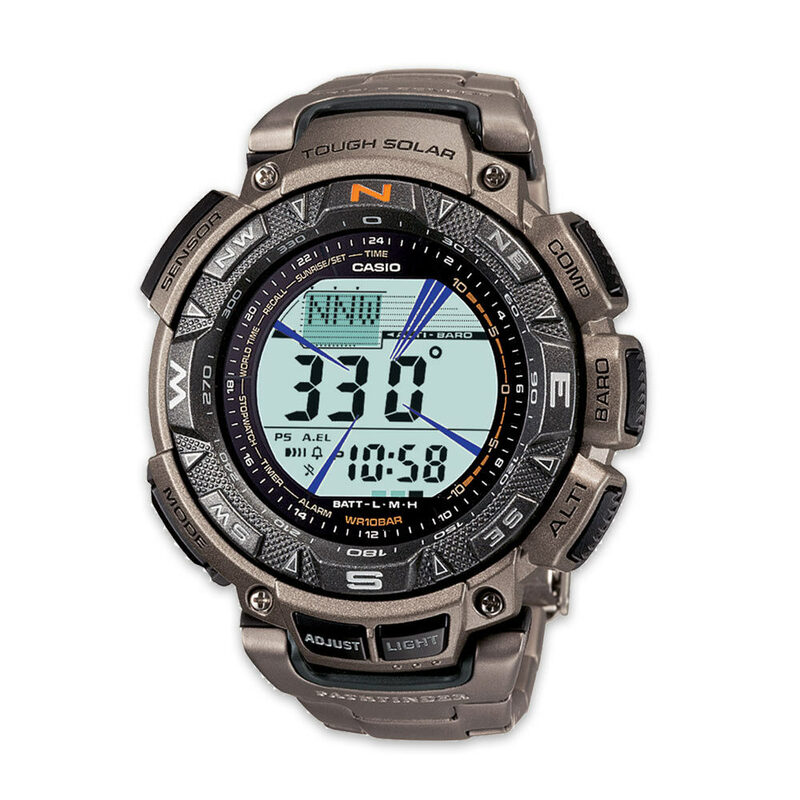 Also features a digital compass, altimeter, barometer, thermometer, five alarms and 100m water resistant technology.